One of my favorite things about Christmas is the spirit of love and generosity that embraces our hearts this time of year. It seems the older we get, the more we appreciate the importance of giving to others over receiving what is on our Christmas wish list. We tend to look for ways to bless others by serving together as a family, and by doing so we are blessing Jesus in the process. Serving others with our kids not only demonstrates the heart of God and shares His love with His people, but is a great way to develop meaningful family traditions and foster a strong family identity. Here are some great examples of Christmas service projects that may spark some ideas of your own for your family to serve others this Christmas! 1. We looked into visiting a children’s hospital this year, but understandably most hospitals will not allow children to carol or visit pediatric patients for health reasons. However, you can call your local children’s hospital and see what they do allow. Our children’s hospital allows you to gather new toys to drop off, and the volunteer coordinator gives a talk to your children about how they help and encourage the kids who are sick. 2. The Pearce family enjoys visiting a nursing home on Christmas day! They make cards and decorate ornaments to get ready for the special day. When they arrive, they sing carols and pass out cards and ornaments to all the residents. Some of the elderly are pretty lonely, and it gives them joy and fills them with energy to have visitors on Christmas! 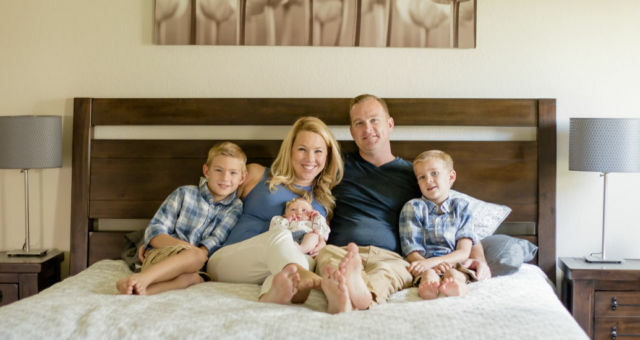 The Pearce family says it blesses their family too and increases their joy on Christmas! Call your local nursing home and see what options are available. 3. 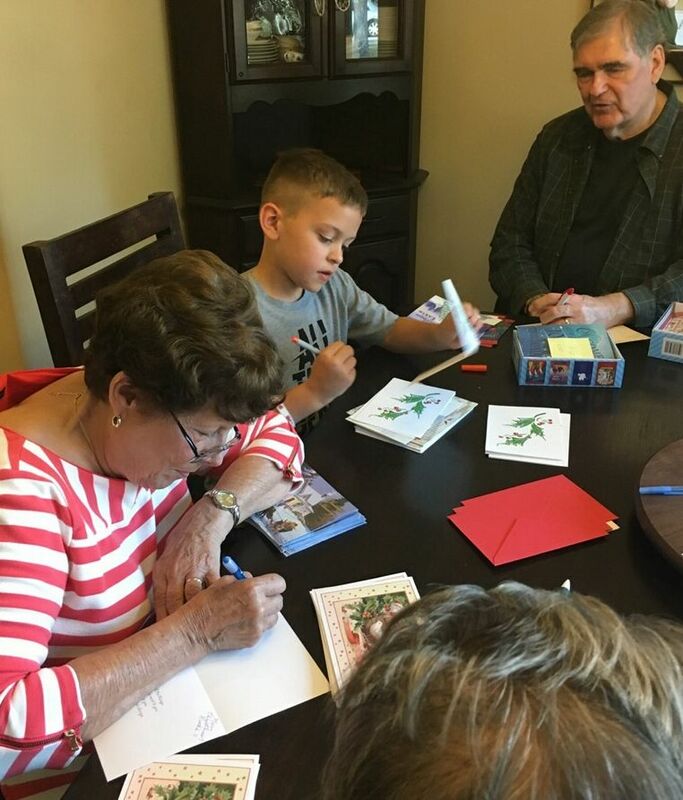 Last year the Watson Family wrote Christmas cards to inmates and veterans. The Watson’s seven-year-old son signed cards too. His dad, who works with a prison ministry, found out that the inmates who received his child’s cards were so touched that they cried! Many inmates don’t feel that anyone cares about them, so to have a child write them a note of love touches their hearts! 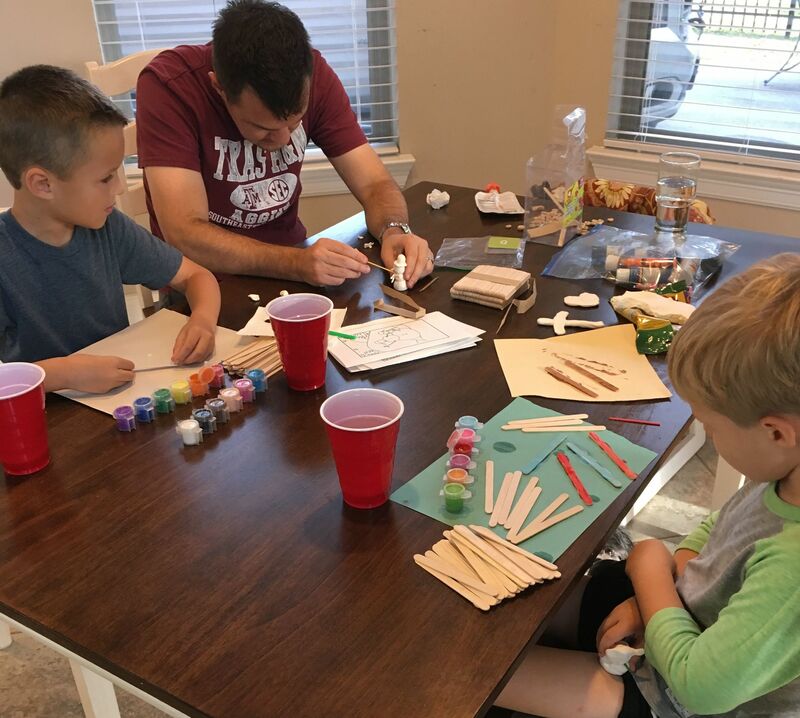 This year, their son decided he needed to get other kids involved in writing to the inmates, so he started a cause to get more kids involved in doing so! 4. The Crumm Family enjoys shopping for gifts for Operation Christmas Child each Christmas! They split their family into a girls team and boys team to shop for each box, and their kids love it! We know many families who have done this, including our own, and the children have SO much fun picking out fun toys for other children! 5. Also, every year they give their kids a certain amount of money to spend on the Samaritan’s Purse website as one of their Christmas gifts. They pull the catalog up on the TV, and everyone gets to pick how they want to spend their money. It’s one of their favorite traditions! 6. 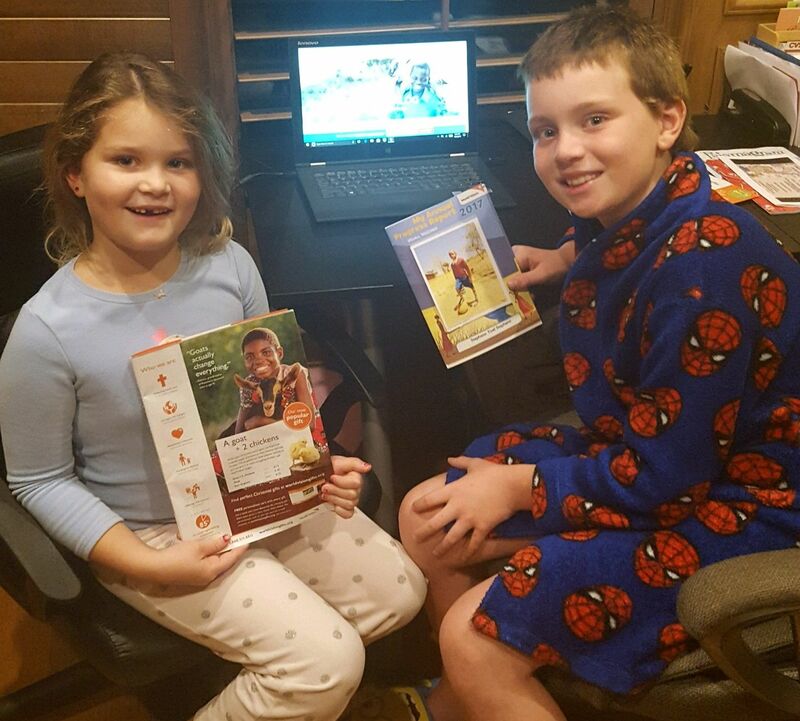 The Ward Family does something similar by picking a goat or chickens for their sponsored child as a Christmas gift through World Vision. The kids enjoy picking the gifts out each year, and these types of gifts significantly help their child’s family have enough resources for the year. 7. The Hoff Family has a heart for teen moms, and last year they gave gift cards in mugs with hot cocoa mix to their teen pregnancy center along with some Christmas onesies!! 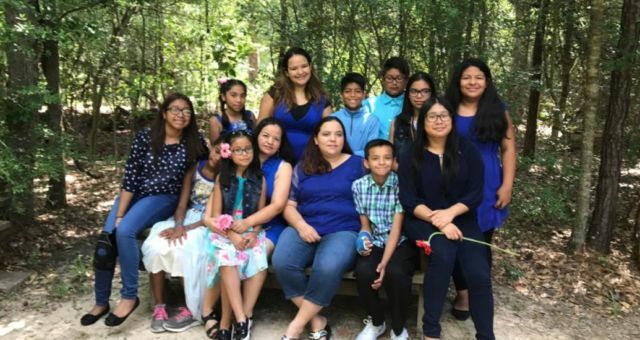 Through their act of giving at Christmas, they are able to build relationships and encourage pregnant and teen moms to choose God’s way for their family and really make a difference! Contact your local teen pregnancy center to see how you can bless these teen Mommas. 8. The Walker Family has a ministry called 7more in Houston where they support and pray for ex-inmates coming out of prison. If you are in the Houston area, they have an event December 21st and 22nd where you can donate items or attend the event! You can search 7morestories on Instagram and direct message Debs for more information, or email her at debswalker@gmail.com! 9. 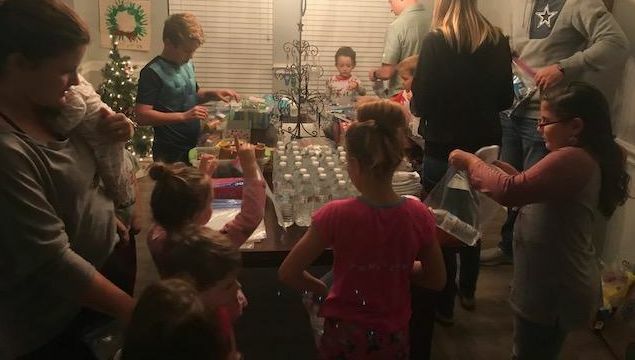 The Hamner Family has made “blessings bags” for the past eight years with their kids during advent. They keep them in their cars all year long and hand them out when they see a need, usually someone standing on the corner. They usually make enough to give to other people as well, under the condition that they share the story of how they had the opportunity to bless someone with the bags. They passed on the tradition to their small group this year and the families had a great time making the bags together. 10. 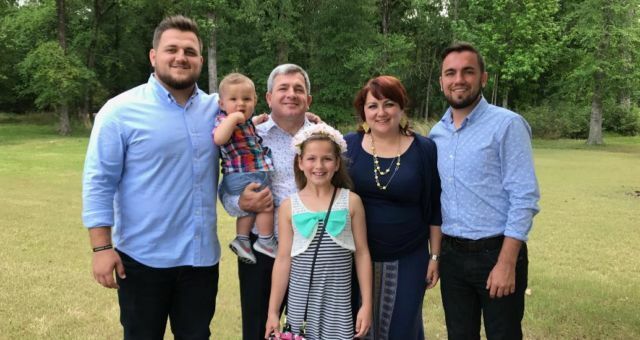 The Stahlman family loves to serve others through the Conroe House of Prayer through Compassion United in Conroe, Texas. This ministry feeds the homeless breakfast every week of the year! 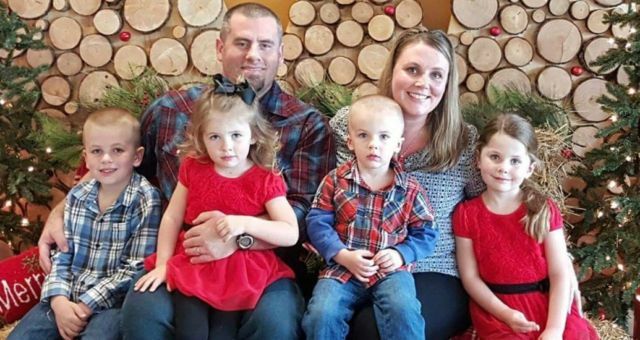 Last year, in lieu of going to church on Christmas, they went to their Christmas dinner event. 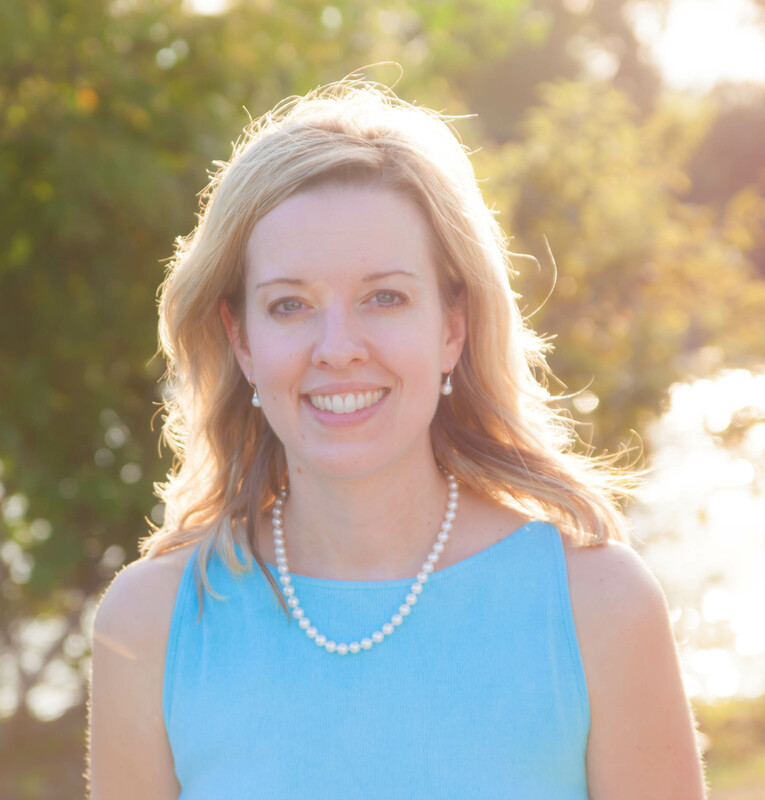 Heather had the opportunity to give a devotional talk, and one of their daughters said a prayer for the meal. Our family likes to think of three gifts to give Jesus for His birthday, like The “Three Wise Men.” I often ask my kids what they think Jesus would like for His birthday. Then I share Matthew 28:45, where Jesus says, “whatever you do for the least of these, you do for me,” and explain to our kids that when we help those in need we are blessing Jesus! The kids love thinking of ways we can bless Jesus on His birthday, and we grow in our heart for serving others as a family. 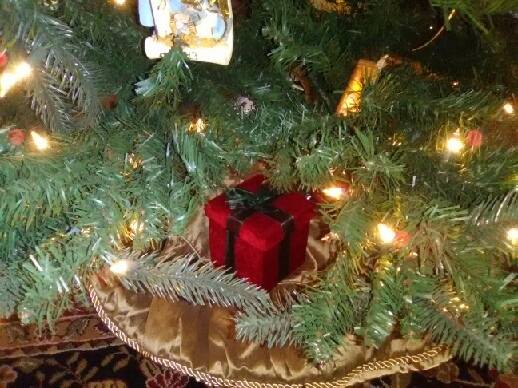 My sister in law’s family has a similar tradition they call “Birthday Box to Jesus.” Each year, the Birthday Box sits under their tree for Jesus to open on Christmas morning. In the box are index cards, one for each year, dated and signed by the whole family. Each Christmas Eve they discuss what would please Jesus to receive from them for the upcoming year (an alternative to the typical New Year’s Resolution). Last year they made a commitment to invite people into their home once a month with the purpose of encouraging and refreshing others. 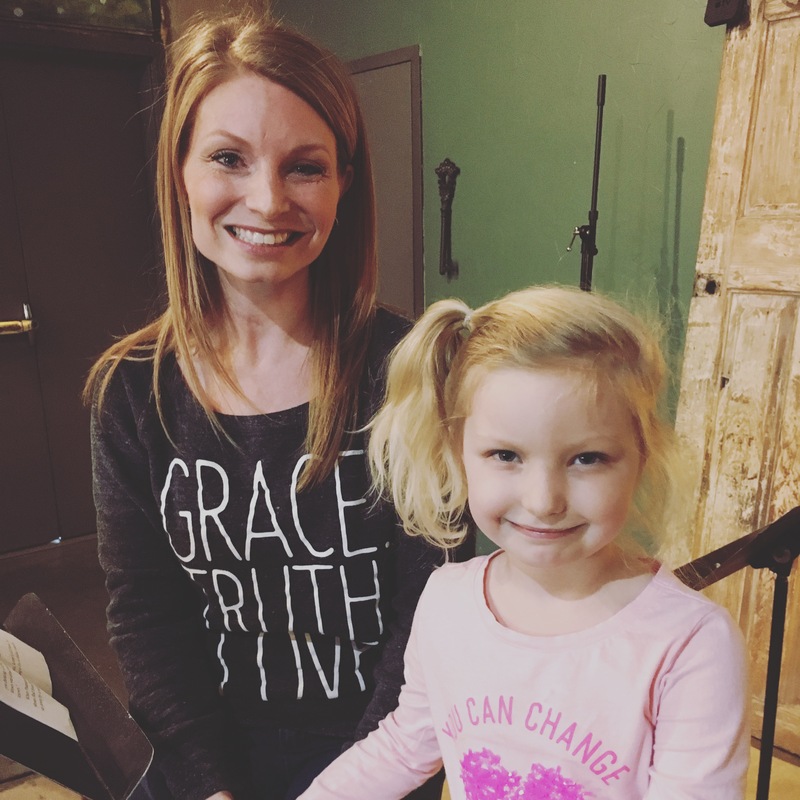 The Lord blessed them with so many more opportunities than they envisioned, and the calendar was FILLED with wonderful weekends of mutually encouraging fellowship. What a great way to bring the opportunity of blessing Jesus into the entire new year! There is nothing that fills our hearts with lasting joy than blessing others in need. It was what we were created to do! My prayer is that amidst the crazy world of consumerism in which we all live, we as families will get to experience the joy in giving to others and that our children will learn that it truly is better to give than receive. What a sweet idea, Flossie to make teddy bears for local shelters! How do you make them? I am not very crafty, but I am curious what you do. That’s good they get to help package them at least! We are always looking for ways to show and teach our kids ways to show Christ and the real meaning for Christmas. I love some of these ideas you talk about with these families. Especially, the three things for Jesus! Great suggestions! 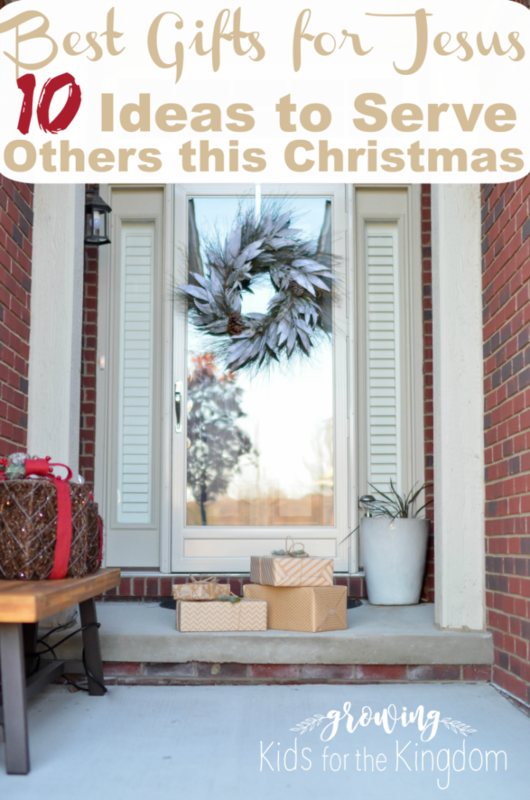 It is so easy to get swept up in buying gifts and decorating during Christmas time. I love these suggestions to bring everyone’s heart back to God during this busy season. We will be trying some of these out with our kids!